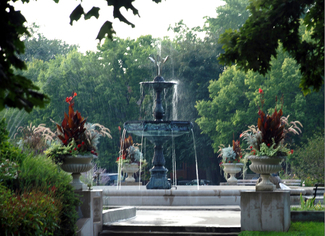 Join the Wicker Park Garden Club and Advisory Council for a tour of our Historic Park and the 10,000 sq. ft of Ornamental Gardens designed by members of the Wicker Park Garden Club. Each month you will see the gardens develop and learn about the design of the gardens and the specifics of the plants that are at their peak on the day of the tour. In addition, you will learn about the historic features of our park: The Gurgoyle Fountain, Charles Wicker Sculpture, and more. ENJOY A CLASSICAL MUSIC CONCERT FOLLOWING EACH TOUR DATE.